Ripple is Replacing SWIFT, Is It True? Home › Cryptocurrency › Ripple XRP › Ripple is Replacing SWIFT, Is It True? Ripple is one of the cryptocurrency that managed to do quite well even during the crypto market crash. Though ripple also faced significant losses but managed to survive better than other cryptocurrencies. There is no doubt that ripple became second largest cryptocurrency by market cap leaving Ethereum behind. Ripple is expanding its roots in the banking and financial sector being the supporter. Ripple is doing so well that the ripple company CEO Brad Garlinghouse stated that “Ripple will replace or overtake SWIFT network in the near future.” Well, that is not an easy thing to achieve. If you do not know what SWIFT is, let’s have a look. SWIFT is the current global transactional system. Established in 1974, SWIFT is a messaging platform for the banking sector which is used for secure transformation of information and instructions through code language. It stands for “Society for Worldwide Interbank financial telecommunication”. With SWIFT a unique eight or eleven character code is assigned to each financial institution. This code is called as SWIFT code, Bank identifier code or SWIFT I’d. Ripple says, “we are not here for partnership with SWIFT messaging, we are here to replace SWIFT”. The question here is that will ripple be able to replace SWIFT? Well, I am not sure if this is the right question however I am keener to find out if Ripple will stand out to all the parameters to become a leader. Speed is one of the very significant parameters in terms of banking transaction. The SWIFT system takes approximately 3-4 working days for an international transaction to complete. Bitcoin takes an hour or more than that. Ethereum is also in the race and it takes approximately 2 minutes to execute a transaction however Ripple system (xRapid) takes only 4 seconds to execute nearby 1500 transactions. Any transaction executed with xRapid will not take more than 4 seconds. Financial institutions are moving forward to adapt xRapid and the institutions which are already using it are saving approximately 70 percent which is way cheaper than the expensive SWIFT system. Ripple claims that it is a decentralized network and so far, it has been successful too. Though Ripple owns a share in ripple validation however there are non-ripple validators as well which is more than 60 percent. This makes the system decentralized. Ripple is not the incharge and any changes would require a lot of consultation. Liquidity is also a very important factor for Ripple or any other cryptocurrency as well as financial institutions. Ripple has exceeded its region and is now available on most of the known exchanges across the globe. Ripple really worked hard to extend its support and reach to various exchanges. Traders can buy ripple with USD, BTC, ETH, other trading pairs as per availability as well as Fiat using the debit card and credit card. There are safe and secure ripple wallets available where holders or traders can keep their ripple coin safe. Ripple is also very much clear about the speed and transaction limits. There is no point of argument as Ripple is a clear winner in this case. 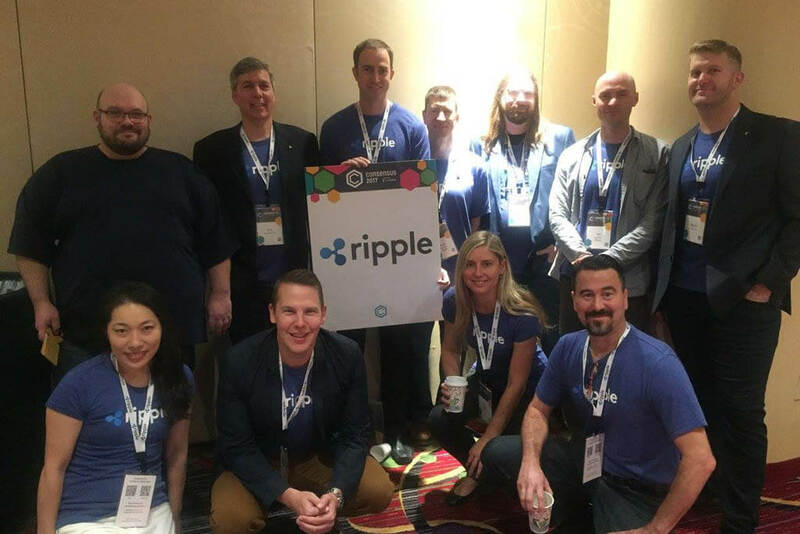 Ripple has a team of most talented and dedicated people. Ripple itself is very proud of its team of developers and marketing. The focused mindset of the team led the Ripple to reach where it is today. The Ripple company managed to advertise the product at very great level through Madonna, Ashton Kutcher, and other advertisement firms. The company also initiated SWELL 2018 event this year. 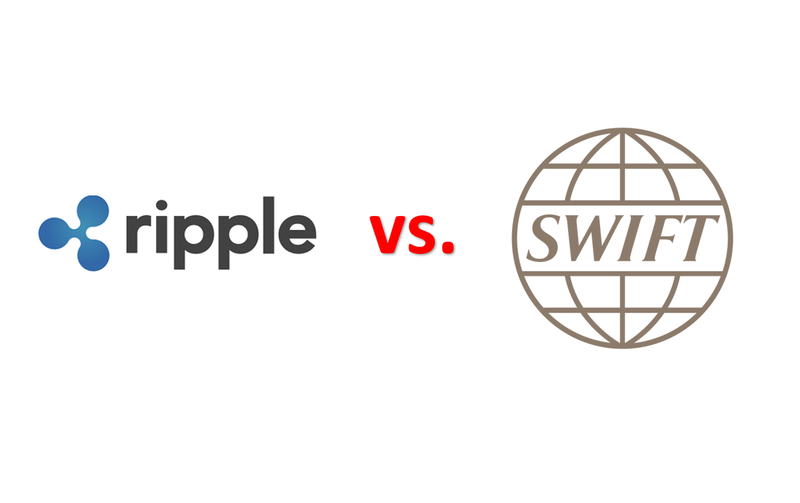 Ripple has so many points to prove itself and compete with SWIFT however it also depends on the fact that how SWIFT responds to this competition and how much serious SWIFT is about ripple trying to replace SWIFT. We haven’t heard of anything from SWIFT’s end about their plan or any improvement in the messaging system. There is no update on the official site of SWIFT as well however SWIFT claims that they are working on the improvements of the messaging app. If we see the usage of SWIFT in the last one or two years, SWIFT has increased its traffic by approximately 9- 11 percent. The average messaging rate per day has grown to 30.5 million FIN messages in the year 2018. SWIFT has also increased the speed of transaction average of which is now eleven hours three minutes. SWIFT is continuously expanding without on yearly basis. They even say that they have plans to improve the software they are using but did not specify in which area they are going to work specifically. No doubt ripple XRP is doing great. Ripple has no fear from banking systems and financial institutions. The banks and financial institutions are in favor of ripple which is very uncommon with a cryptocurrency. Some people say Ripple will definitely replace SWIFT. Well as of now none of us are sure is Ripple will take over the throne. No matter how much Ripple is growing, it is still new in this venture. SWIFT has been solely leading this market for many years continuously with no competition around. SWIFT is more experienced and mature to deal with the fund transfers and associated issues. Ripple can co-exist with SWIFT, but it seems like this is not what Ripple wants. It is good to have competition in this market as well as in every other market. The chances of improvement increase where there is the competition. Seeing the pace of Ripple, it wouldn’t be wrong if we say that Ripple has already reached 50% to take over the market. As long as SWIFT is working on its betterment and improvement it will a bit challenging for Ripple to replace SWIFT. It seems to be exciting to see the race between two and if in case of Ripple really replaces the SWIFT, it is gonna be a piece of good news for Ripple career and its stability.